Today, people are aging in place remaining in their own home as they age. 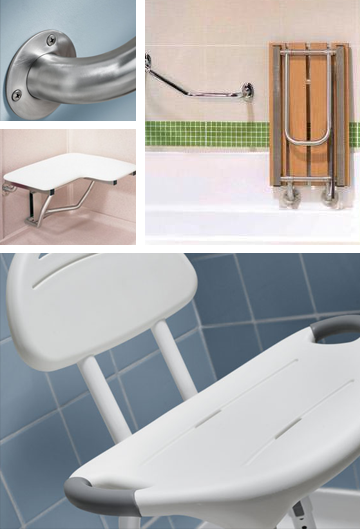 Installing ADA* compliant accessories like grab bars, shower benches, elevated toilet seats or with safety bars, tub transfer seats and hand-held showerheads provide for today’s disabilities or what you may face in the future. At Modern Supply, our consultants can help you select the ADA compliant and aging in place products that will help you remain independent as long as possible. Visit our kitchen and bath showrooms in Knoxville, Chattanooga or Johnson City, Tennessee and see how these products can be integrated into your existing space or bath remodel.